I started Dani’s Cookings in the early 2012 with nothing but an iPhone 4S and a big desire to document my best culinary creations. When I created my blog in WordPress I didn’t know anything about photography and I didn’t have any cake decorating knowledge and skills. 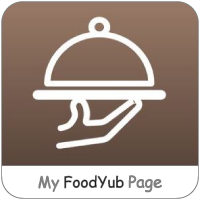 I just loved cooking and baking and I wanted to collect my recipes in a place accessible for other people. I published my first post in Bulgarian with one photo only. I took a picture of my improvised lunch which I loved so much that I decided to show it to the world. Today I find the photo incredibly bad but I guess this is good sign because it proves that I have improved so much since then. In the next few weeks I published more posts with also not very great looking photos, like this one and this one. I still keep the originals in the blog because they have a sentimental value for me and they also remind me how much I have developed my photography skills since then. For many months my iPhone was my best photography friend until I started realising that I could do better pictures. One Christmas I received from my better half a Canon EOS 1100D (aka Rebel T3). This camera definitely changed my blog and my life. It is a very affordable DSLR which takes great pictures – especially if you buy also good lenses. But owning a DSLR doesn’t mean automatically that you become a photographer: there is a learning curve. It took me quite a long time to figure out some basic things about photography, mainly due to the fact that I never had much time to practice. I read hundreds of photography articles, many of which helped me a lot. Regardless, even after 2 years of practicing, I was still feeling that I was missing a lot of basic knowledge. I still couldn’t understand why I was experiencing so different results if I was taking my pictures always at the same place, presumably with the same lighting. The more photos I was taking, the more I was realising that my photography improvement was not sufficient. Until one day I purchased The Food Photography book by Nagi Maehashi. I can honestly say that it is the best photography manual I could ever imagine! It explains really well the whole food photography process and gives clear practical examples. While reading it, suddenly I was able to understand what was wrong with each one of my photos and most importantly: how to make them better next time. This book also convinced me that it was time for me to change lenses! First I bought Canon EF 50mm f/1.8 STM which are quite good and affordable. I started taking photos with them in the beginning of 2017 and I immediately saw the difference in my photos. In few months I decided that I needed to upgrade my camera, so I bought a full frame: Canon 6D and lenses EF 100mm f/2.8 Macro USM. Currently I am shooting mainly with them but sometimes I also use my old camera with the 50 mm lenses – mainly for overheads. I am still learning – in order to become a good photographer you need practice most of everything. But it is much easier for me now, after having all my previous questions and doubts clarified. As of 2017 I use Picktorial to edit my pictures. It is a great and affordable piece of Software with very powerful photo manipulating tools. It is also quite easy to learn and use. And of course, it works with RAW images! I recommend Picktorial to everyone who needs a good and reliable photo editing software but doesn’t have the budget for Photoshop or Lightroom. In case you want to test it before buying, there is also a free trial! After blogging in WordPress for more than 4 years, I decided to take a step forward and transfer my blog to a self hosted site. It took me some time to figure out how to do it, as I was really a novice at that area. Also I didn’t want simply to delete my old site. Eventually, after long researches, I set up a redirect from the old site to the new one in order to avoid loosing the social links that I had already accomplished for my blog. Who did I move to a self hosted site? A self hosted site allows more freedom for changes and customisation and also more opportunities for growth. It also gives a more professional look to the blog. That summarises more or less all my reasons to go ahead and create daniscookings.com. I chose Superhosting as a hosting company and I am so happy with my choice! Apart from a very reliable hosting they also offer an amazing support, always ready to help with information and advise. Initially, due to my inexperience I had an issue with the import of my old blog to the new site. Thanks to their immediate assistance the issue was resolved in a few hours. Another thing that I really like about Superhosting is that they always send me email reminders when something is due (e.g. if I have to update my wordpress version) or before a new law regarding websites is put in place. This is really helpful for busy people like me. And here is the good news for you: by using the promo code daniela you can buy their general hosting plans SuperStart, SuperPro and SuperHosting for 12 months with 10% discount! That’s a really great offer! Initially I copied my old site directly to the new one together with the existing theme. Afterwards gradually I started making improvements like installing some useful plugins. Eventually I made a more important change by purchasing a new theme for my renewed blog. The theme is a big part of the blog, as it defines the overall site design and the way it is presented. For a long time I used a free wordpress theme and at the time it was good for me. However majority of the free themes, even the best ones, have one main issue: they are not adaptable, unless you are very familiar with CSS and HTML. At the same time you can find very affordable themes that have tones of customisation options and could make your site look like made by a professional web designer. I purchased my theme from Theme Forest which is part of Envato Market. This site has a fantastic selection of themes, plugins and many other products at very affordable prices. Each purchase comes with 6 month free online customer support: for me this was very important because my site is bilingual, therefore required a bit more detailed set up of the theme. Thanks to the theme support my blog looks better than I have ever imagined it! I love reading books and I have a special thing about cookbooks. When I was a kid I used to read all the cookbooks of my mom and my grandma, even before being able to make any meal by myself. Later on I became a cookbook addict. And of course the dessert cookbooks are my favourite ones! Book Depository is one of my preferred places where I often buy my cookbooks nowadays. It offers free delivery all around the world and a great customer support. It often has good discounts of different types of books. That’s definitely The Place of every book addict! My favourite cake book so far is The Cake Bible. It is not just the typical cookbook but more of a cake encyclopaedia. It has many recipes which are not just listed but also explained almost at a scientific level. I learned so much from it. If you liked the story of my blog or if you have additional questions, I will be happy to hear from you. maybe I missed something? Or you would like to have more information on particular topic? Just fill up the contact form below! Subscribe to my Friday newsletter and you will receive all new posts in your mailbox! Some of the links in this site are affiliate links. This means that if you make a purchase through one of these links, I would receive a small percentage of the sale price as a commission, without adding up any cost to the original price of the product. Any revenue made from sales through the affiliate links will help to support the blog Dani’s Cookings. Thank you!